Two common mentalities contribute to the thousands of surgical mistakes and acts of medical malpractice which occur every year in Florida. Because of insurance restrictions, many doctors have a “treat ‘em and street ‘em” approach to medical care. They act as aggressively as possible as quickly as possible to make the patient healthy enough to go home. Many times, this pressure comes from higher up, and doctors are forced to react accordingly. Sometimes, mistakes occur in the preoperative phase. Once again, the pressure to make as much money as possible means that doctors must see as many patients as possible. To squeeze in an extra few appointments, many doctors take time shortcuts. So, they may not be as prepared as they should be before they go into surgery. When patients are fully prepped for surgery, they cannot tell the doctor where to operate. If the chart is at all inaccurate or the doctor must perform emergency surgery, mistakes like removing the wrong kidney or amputating the wrong limb sometimes happen. Such errors are clearly unintentional, but the patient must suffer for a lifetime because of that mistake. The responsible party must be held accountable, and in most cases, that party is the doctor. These kinds of errors are the most common types of surgical mistakes in Florida. The anesthesia process is labor-intensive and quite delicate. Unfortunately, rather than invest the time necessary to get it right, many anesthesiologists rely on one-size-fits-all assumptions about the drugs they administer. 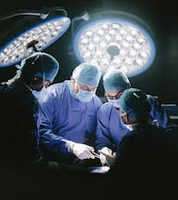 If the patient receives too much medicine, the patient may be unable to wake up after surgery. Too little medicine, and the patient may wake up during the procedure. Moreover, some drugs trigger fatal allergic reactions in some patients. It is hard to believe that a doctor can make such a fundamental mistake. These errors are extremely rare, but they do happen. As mentioned, when patients are fully prepped for surgery, they all look alike. A simple failure to verify a name can have tragic consequences. In these situations, the clinic, hospital, or other entity which employs the doctor may be vicariously liable for damages as well. Most surgical procedures are extremely delicate. Furthermore, today’s surgical tools are incredibly powerful. One flick of the wrist can cause permanent nerve damage. If that happens, the victim must usually undergo multiple corrective procedures. Even then, some use or mobility impairment usually remains. The doctor, or the employer, is fully responsible for all these economic losses. Much like the wrong patient mistakes discussed above, it’s hard to believe that doctors can make mistakes like leaving sponges and other items inside a patient’s body. A simple instrument count before finishing the procedure would eliminate this kind of error altogether. So, damages in foreign object cases tend to be very high. The negligence involved is that egregious. Surgical mistakes are more common than you think. For a free consultation with an experienced medical malpractice lawyer in Brandon, contact Reed & Reed. We have four area offices (St. Petersburg, Lakeland, Tampa, and Clearwater).